HomeGastric BypassShould I Have Weight Loss Surgery? How Do I Know if I’m a Good Candidate for Weight Loss Surgery? Are you (30% +) over your normal Body Mass Index for someone your age and height? Do you have comorbidities (other health problems) from being overweight such as, high blood pressure or diabetes? Has dieting been ineffective for you? These are just a few of the potential questions a doctor might ask you if you are considering Weight Loss Surgery. The way you answer them will guide your doctor in deciding if you are a good candidate. You could probably find a doctor who is willing to perform the surgery regardless of your answers, but be cautious. Many people think this is a Get Thin Quick Miracle; it’s not. This is a long, difficult, process and if you’re not prepared for it, you can be in for a long tough ride. As many as 70% of patients suffer from post-surgical depression, so BEFORE you rush into Weight Loss Surgery, do your homework. Talk to someone who has had the surgery. Read up on all aspects of the process, before, during, and after. Discuss with your doctor at length what to expect. Finally, really examine why you want to do this. Deep psychological issues can’t be cured with surgery. Which Kind of Weight Loss Surgery Should I Have? There are 4 basic types of Bariatric (Weight Loss) Surgery. The kind you would have depends on your needs and health condition. Gastric Bypass Surgery – This Weight Loss Surgery creates a small stomach pouch which is attached to the small intestines with staples and sutures. Gastric Lap-band Surgery– Also creates a smaller stomach, but in this case a silicone band is used instead of sutures and stitches. This is the most popular type of Bariatric Surgery as it is reversible. Doctors say that a temporary reversal is often requested. This is also known as one of the safest Bariatric Surgeries. Gastric Sleeve Surgery – In this procedure roughly 85% of the stomach is permanently removed and sown together. It is then attached to the small intestines. The structure looks like a tube or “sleeve”, and it is irreversible. Bilopancreatic Diversion Surgery – Here stomach size is also reduced, then permanently attached to the lower (distal) end of the small intestines. Only your physician can tell you which Weight Loss Surgery would be best for you. There are set criteria that he or she will use; again based upon things like need and current health. Each surgery has different aspects to consider during the entire process from beginning to end. It’s important to know what those aspects are before you go into surgery. What are the Benefits of Weight Loss Surgery? There are numerous benefits from Bariatric Surgery. From the Psychological to Better Health, and borrowing any unforeseen post-surgical complications, it can improve your quality of life drastically. All these benefits are in addition to any particular health problems which could improve with each individual patient. There’s a lot that goes into the decision about having Weight Loss Surgery. Only your physician can help you decide if it’s a good fit for you. There are other options available, some discussed in other articles in this series. Do your homework. Weigh the benefits vs. the risks and then make an informed, thought out decision. If you decide to have the procedure, life could take a very sharp upward turn. Be knowledgeable, and be ready for whatever your Weight Loss Surgery throws at you. What is the medical name for the 4 types of Weight Loss Surgery? True or False: You can tell your doctor what kind of Bariatric Surgery you want. Which should you NOT do before deciding to have surgery? a. Talk to someone who has had the surgery. b. Read up on all aspects of the process, before, during, and after. d. Finally, really examine why you want to do this. He’s done this by creating the “experience” of a Gastric Bypass Surgery that he can transfer to your mind; a Virtual Gastric Bypass through hypnosis. Through a series of High Quality audio recordings your mind will be fooled into Pre, During, and Post-Operative experiences. Recorded in 3D sound with a specially designed microphone, you will be immersed in the surgery from start to finish. It does require headphones to get the impression of the surgical sounds surrounding you, as Smith takes you through the entire procedure form start to finish. With 7 audio sessions, it’s important to listen to them in order. The first 2 will need to be listened to several times before the actual surgery session. Likewise sessions 4-7 can be repeated to fortify your resolve and course of action. Are these two things important to you? Gastric Bypass Surgery comes in at an average of $22,000. Natural Hypnosis: Gastric Band Hypnosis is a must have for those who are both serious and desperate to lose weight, but don’t want to face the risk and cost of surgery. This is the ultimate surgical substitute for losing weight. Written by an MD, a previous Bariatric Surgery patient, and a renowned Weight Loss Expert, Weight Loss Surgery for DUMMIES is an exceptional help guide for anyone exploring the possibility of Weight Loss Surgery. You can see how invaluable such a book like this could be. 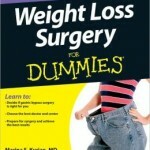 If you are considering Weight Loss Surgery in the slightest, read this book. Many people don’t do this procedure because they are afraid; they don’t know what to expect. Well, knowledge kills fear, and this book is a Weight Loss Fear killer. What Are Some Weight Loss Surgery Options? Gastric Sleeve Surgery Is there a Gastric Bypass Diet? What is Gastric Bypass Surgery? I’m considering this myself. You feel so helpless when you really try dieting and exercise and you just can’t stick with it. People think you’re lazy or just don’t care, but it’s really not true. Thanks for telling us about the options available. As someone who is overweight, I also disagree that the main problem is of just eating the wrong type of food. Every overweight person I know, for the most part, eats much more than the average normal weight person. Thin people eat chips and pizza and drink Coke too. I have a friend who just had gastric bypass done. She had some complications at the start, but it doing much better now. Already lost quite a bit of weight. I partially agree with the other poster, Karen. I think it’s true that very overweight people eat the wrong foods, but they need to eat less overall as well. I think your website is great and the information very well researched and presented in an easy to follow manner. That said, I really don’t agree with this article. Someone opting for Gastric Bypass Surgery because they’re too undisciplined to eat properly and exercise is wrong. The problem of over eating isn’t the entire issue in most obesity cases, it’s eating the wrong foods. Eating less of the wrong food still leaves the underlying health issue unresolved… IMHO. Karen, I appreciate your position, and many people feel this way about the obese. I think however, that food, like heroine for some, is an addiction. I don’t think that many of our addictions in life are about “choosing” to over indulge. For those who are true addicts, there is no choice. If it were just an issue of will power, they’d simply not eat. I don’t think any overweight person would choose the ridicule and embarrassment that comes with being so over weight. For them it’s not an issue of discipline, or lack there of. For those folks, Gastric Bypass Surgery may be the only way they will live long enough to see their kids graduate. It’s the only choice they have. What Are Some Weight Loss Surgery Options? 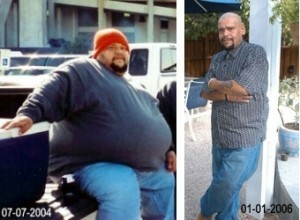 Is there a Gastric Bypass Diet?